Parking is available for closings in the 30-Minute parking spaces on the east side of the building. 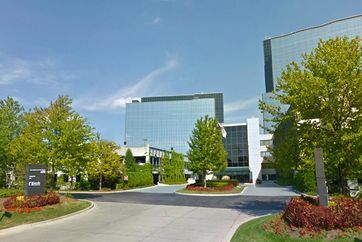 Located on the southeast corner of Higgins Road and Martingale Road in the Woodfield Corporate Center office complex, Baird & Warner Title serves the real estate closing needs of attorneys, agents, buyers, and sellers in Schaumburg and the surrounding communities. This closing center resides in the Baird & Warner Title Services headquarters which is located near I-90 and IL-53. Title closings at this location can be scheduled between the hours of 8:30 a.m. – 5:00 p.m. from Monday through Friday. Free parking is available in front of the building, and several restaurants can be found in the nearby Streets of Woodfield shopping center. We are committed to providing personalized, best-in-class service as you navigate the real estate closing process. Our team of dedicated professionals are focused on resolving issues quickly and closing on time. To schedule a closing at our location on Martingale Road in Schaumburg, please contact us at scheduling@bairdwarner.com, or call (847) 493-5111.